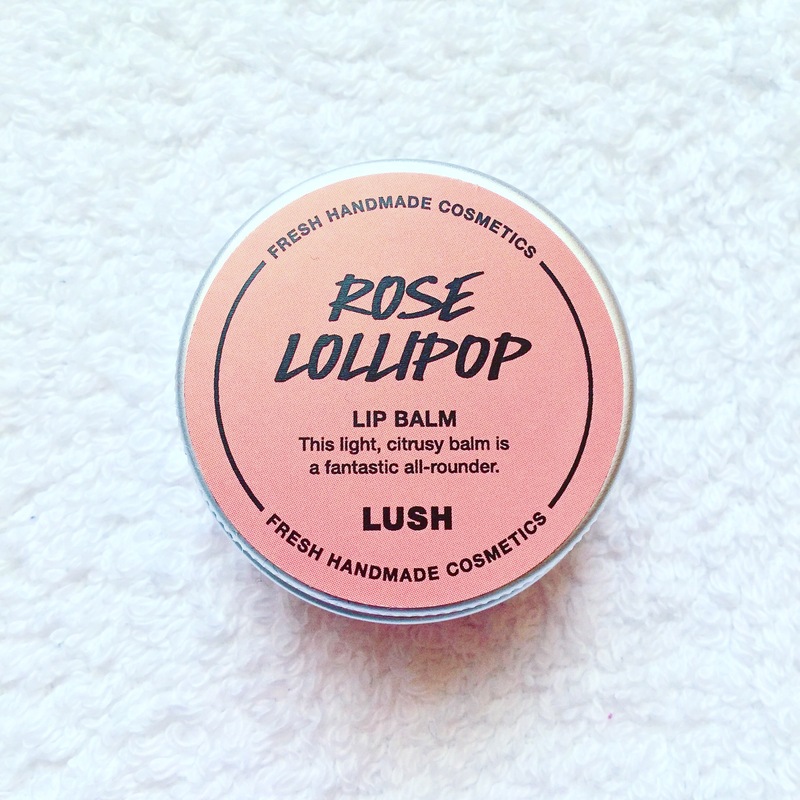 A couple of weeks ago I picked up a tin of Rose Lollipop Lip Balm from my local Lush store in Harrogate. As you’ll know Lush lip balm is often overshadowed by the more popular products such as the bath bombs and bubble bars. For the longest time lip balms where ignorantly not on my Lush radar. When it comes to lip products I am extremely fussy, I prefer those with a gentle fragrance and taste. As a sufferer of severe bouts of nausea and migraines I can never be too careful. I had heard that this lip balm in particular was good and most importantly, had all of the qualities I favour. It was therefore only a matter of time before I let my nose inspect it. Rose Lollipop Lip Balm has a very delicate fruity, floral-rose scent. I was at first a little taken aback, it was better than I had expected. I had initially thought it was going to be very similar to Lush’s much-loved winter scent, Rose Jam. I love the Rose Jam scent and always have several products that have its scent at hand, I however wasn’t sure Rose Jam would be as likeable on my lips. By all means, Rose Lollipop is a rose-scent that is quite similar to Rose Jam, it however has a slight citrus-fruit undertone making it quite a unique and desirable scent for me in particular. 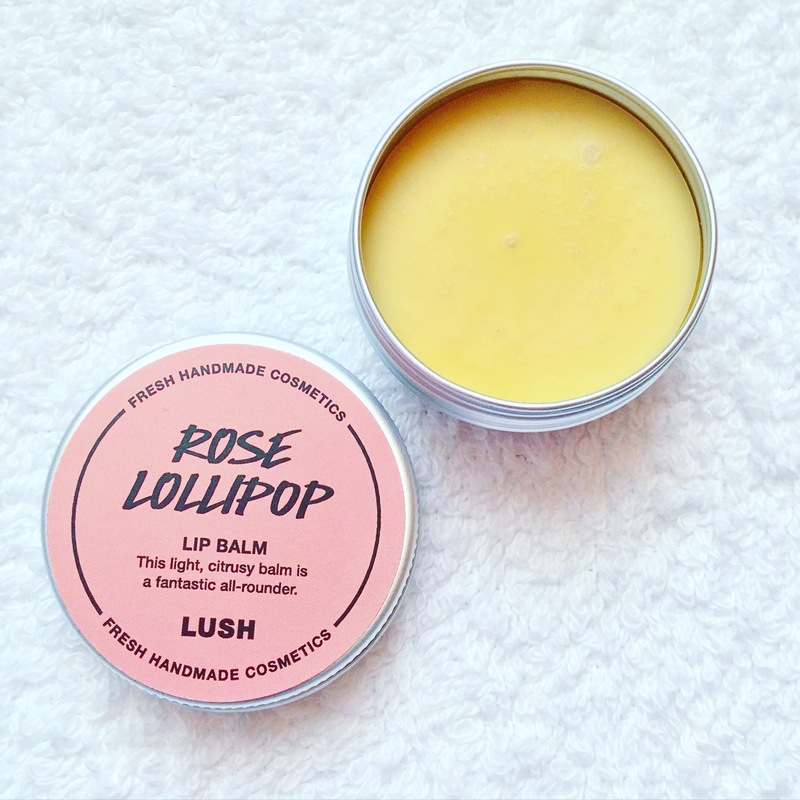 Rose Lollipop Lip Balm not only satisfied my lip balm needs with its soft and likeable scent, it also hydrated and moisturised my notoriously dry, chapped lips perfectly. Out of all of the Lush lip balms I have tried Rose Lollipop is by far the best suited one for me. A little goes a very long way, its dinky size also means that I can always have it with me whether that is in my bag or pocket. Although lip balms aren’t the most exciting or popular Lush products, I totally recommend trying out a few of their alternative products, Lush Cosmetics has so much more than bath bombs to offer, don’t miss out! I have finally found a moment to blog about one of the new Mother’s Day products from Lush. This year (2016) we have been treated to a brand new product, the Yummy Mummy Shower Cream. Previous to this, Yummy Mummy had only ever been released as a shower gel. I guess turning the shower gel into a cream brings the best parts of the shower gel and body conditioner into one product. I know that not everyone is happy with the switch from gel to cream, I however love the change. Don’t get me wrong, I loved Yummy Mummy shower gel, I just always seem to favour the shower creams over the gels. For me, the shower creams feel just that little bit more luxurious in comparison to the gels. Obviously the first thing that catches your eye with Yummy Mummy shower cream is its beautiful lustre-infused purple colour. The Yummy Mummy shower cream looks and feels like liquid velvet, it’s a real treat for dehydrated skin. Once you have used the shower cream its sweet, fruity scent lingers on your skin long after getting out of the bath or shower. Yummy Mummy shower cream shares its scent with the 2015 winter ranges bubble bar, the Peeping Santa. I loved Peeping Santa and was very happy to see the Yummy Mummy scent making a return in yet another format for this years Mother’s Day line. What pleases me even more is that the Yummy Mummy shower cream is not the only product available in this years Mother’s day range that shares the scent, there is also the Roller bath bomb and Flutterby bubble bar too. Although I’d say this shower cream is primarily a fruity scented product, the added geranium oil within it, though not very strong, gives it a very unique and soft, almost musky edge. It reminds me of freshly chopped strawberries which makes a change as most of the other fruity products that I normally go for are citrus based. I really do hope that they bring this wonderful shower cream back for next years Mother’s Day. I am so tempted to buy several to keep in my Lush stock but I’m trying to be good. I will have to just use the shower cream sparingly, which might I add isn’t a negative at all as a little of this shower cream goes a very, very long way. 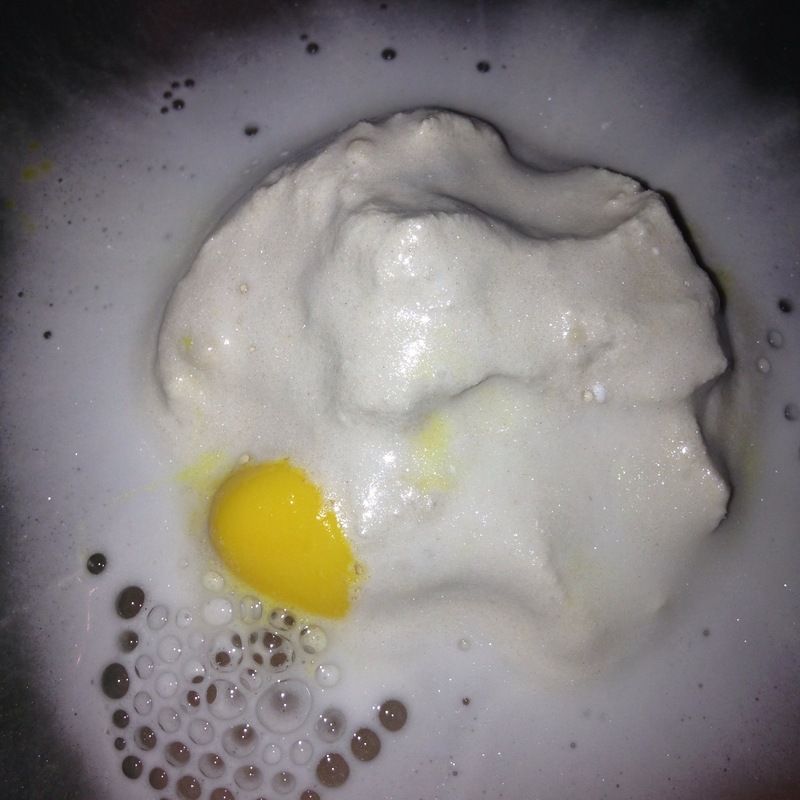 The Phoenix Rising Bath Bomb was one of the very first that I tried from Lush. Back in the day when Lush Cosmetics wasn’t all that I ever thought/talked about, Phoenix Rising was readily available in every store as well as online. This was the case up until early 2015. Since Phoenix Rising’s retirement this is the first time (to my belief) that they have been released as a Lush Kitchen product. Their scent is to die for, I missed it a hell of a lot since it was discontinued so I decided to order a few. 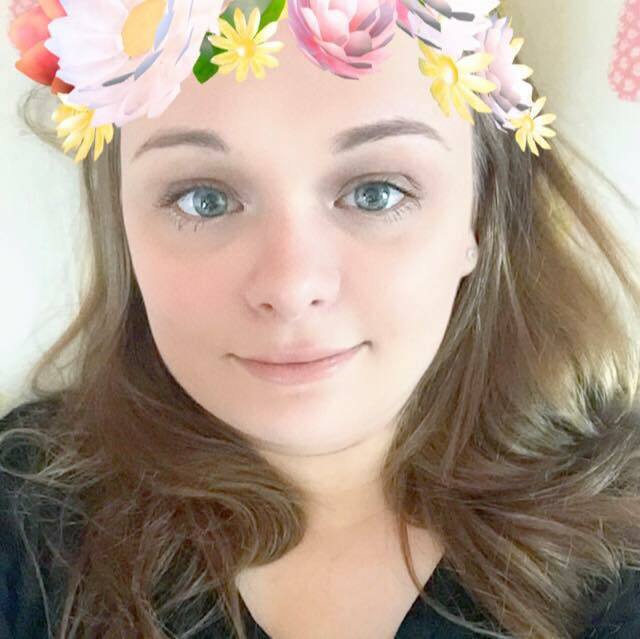 As soon as they arrived I was greeted with their wonderful scent, it took me right back to when I very first got into Lush. I always liked this bath bomb as it wasn’t like any of the others. Anything with bergamot oil in, is a winner for me but when it is mixed with cinnamon it becomes a dream. Its purple exterior and gold lustre soon fill the bath, a beautiful deep pink foam froths off of it as it glides around in the shimmering, deep purple water. Phoenix Rising then sinks to the bottom. Still bubbling away, whilst filling my bathroom with an uplifting and energising bergamot and cinnamon scent. The cinnamon stick then becomes unattached to the bath bomb as the ‘phoenix rises!’ right back to the top. There is something so incredibly warming about cinnamon, I wish Lush did more of them as there’s nothing like a good old soak in a cinnamon infused bath. Sometimes I find that bath bombs dissolve too quickly. When this happens it leaves me with no time to appreciate what a very clever invention they are. The Phoenix Rising bath bomb is however a very slow fizzer. Its colour, scent and presence soothes the soul. The scent from this enchanting bath bomb lingers on your skin for the best part of the next day if used just before bed, I also love how it pampers my skin. It feels silky smooth when I get out of the bath, there is no need for me to moisturise at all. I’m still very sad that this bath bomb was put into retirement, I would however like to thank Lush Kitchen for making up a small batch last week so that we could get the chance to relive it once more. Anyone who knows me well, will know that I’m a bit of a Scrooge when it comes to Christmas. As a kid I was obsessed with it however now that I am rapidly approaching my thirties I would happily hibernate through out the whole of it. Christmas lost all of its magic for me about 20 years ago, I really do miss how magical it used to feel… Although Christmas is never the same any more, the Winter Lush products makes the long, cold Winters a little bit easier to live through. Today I’d like to introduce you to one of the winter products from 2015 – The Bar Humbug Bubble Bar. Before I had got the chance to have a good look and sniff of this bubble bar I was almost certain that I wouldn’t like it because it had an ingredient in it that I had always despised, liquorice. Once the bubble bar was however in my hands my liquorice worries melted away. The Bar Humbug’s scent wasn’t at all displeasing, it smelt nothing like I had expected it to do. I expected to be greeted by a bubble bar that had a strong, tart and ridiculously bitter-sweet scent. It was however in fact quite the opposite, sporting a rich yet soft and uplifting aroma. I was totally surprised that I liked its scent so much. The liquorice ingredients scent is by all means apparent, the inclusion of bergamot oil however softens the tartness of the liquorice making the Bar Humbug bubble bar a gentle and refreshing scent instead. In size the Bar Humbug bubble bar is one of the smallest Lush have released, for me this was a little disappointing. When I first see a photo of the Bar Humbug I wrongly assumed that because of its swirling design, it was the same size as the larger bubble bars available all year through, The Comforter and Brightside. Pushing my issues in regards to its size aside, I am really pleased to say that the Bar Humbug bubble bar made for a very enjoyable and relaxing bubble bath. The smallest amount of Bar Humbug however creates mounds and mounds of glorious, white and fluffy bubbles, although I split it into 3, it always feels like I have used a lot more than I have which is always an added bonus. Bar Humbug also holds nothing back with its beautiful colour. 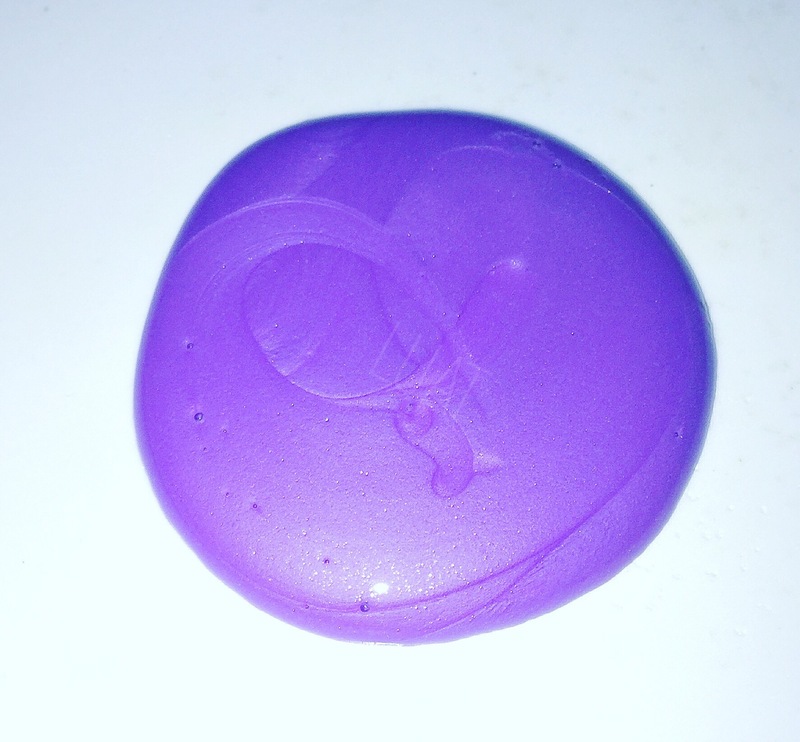 Underneath the blanket of bubbles the smallest chunk of bubble bar also transforms your bath water into a rich and luxurious purple. Your skin will thank you for a soak in a Bar Humbug bath, I wholeheartedly recommend it. As I said above, I manage to get at least 3 baths out of just the one bar, I do however know of other customers that have used the whole thing for one big, over indulgent and magical bath. There’s no right amount to use when it comes to bubble bars, I always break mine up in to chunks so that I can add as much or as little as I want. Whether you choose to break it up or use it whole I promise you won’t be disappointed! Seeing as my boyfriend has already put our Christmas tree up, I decided that today was the day to share my review. Hopefully writing this post gets me into the Christmas spirit. What I lack in Christmas enthusiasm my Crimbo-crank-boyfriend well makes up for. As much as I hate Christmas as soon as I see the list of ingredients that the Dashing Santa bath bomb contained I had to try it as soon as possible. The three stand-out ingredients that got me excited were; Mandarin, bergamot and orange. I’m a sucker for anything citrus scented so as soon as this bath bomb was available I ordered it. I’m always honest in my reviews and when I first had the Dashing Santa bath bomb in front of me I admit that I was a little disappointed at its subtle scent, it was definitely citrusy but it was nowhere near as strong a citrus scent as the Golden Wonder or Lava Lamp Bath Bomb bath bombs are. Sometimes I however like to use the bath bombs that are gentle scent wise. 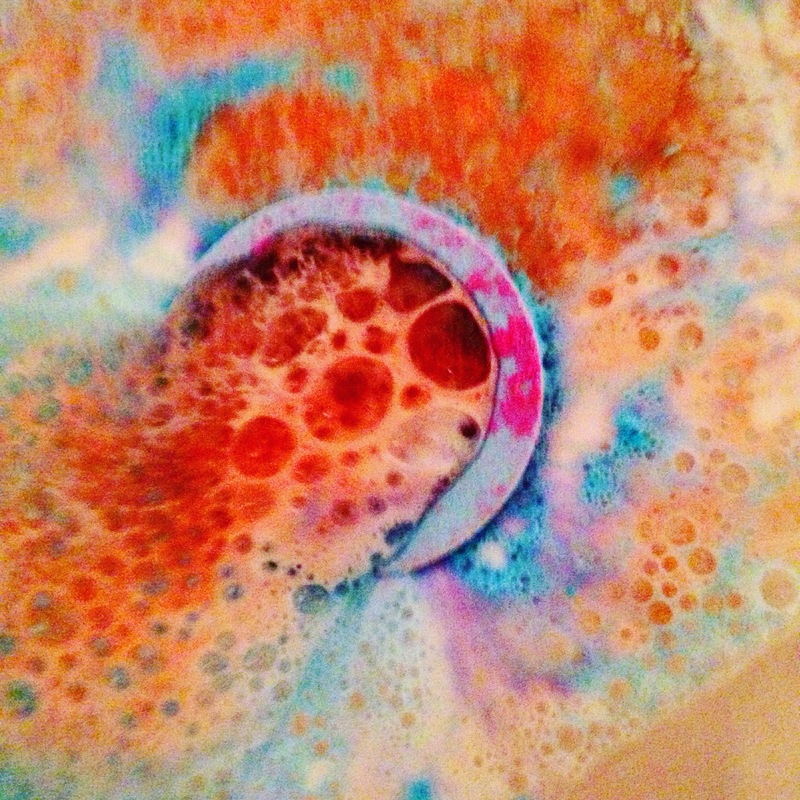 The Dashing Santa bath bomb is a very slow but colourful fizzer. I am so glad that I gave this bath bomb a go as once it was in the water, the scent of it intensified ever so slightly which really pleased my nose. Slowly but surely Dashing Santa fizzles away leaving the bath water a warm orange colour. The name Dashing Santa was inspired by the way this bath bomb moves in the water, starting with his golden boots he slowly charges (or should I say dashes) around the bath like a little power boat. The scent of this bath bomb lingered on my skin the morning after too which I wasn’t expecting at all what with it being so subtle. There is just something so cheery and refreshing about citrus based Lush products, I can never get enough of them. Dashing Santa will most certainly be another of the bath bombs that I will be stocking up on before Winter 2015 is through. I have my fingers crossed for Lush bringing Dashing Santa back for Lush Christmas 2016 as its scent is one I have grown very fond of. Lush definitely need to make more products with Dashing Santa’s scent as I feel it would be great in other formats, a body lotion, soap or shampoo bar would go down a treat in my house! Last week the Granny Takes A Dip Bath Bomb made a very pleasant and unexpected return to the Lush Kitchen. The Granny Takes A Dip bath bomb was sadly discontinued as a staple store product earlier this year (2015). Its retirement however made way for a new product of the same name and scent, the Granny Takes A Dip bubble bar. Although I am a fan of the new bubble bar equivalent of Granny Takes A Dip, it’s definitely not nearly as theatrical in the bath as the bath bomb ever was. Up until last night I had only one Granny Takes A Dip bath bomb left in my personal stock. I didn’t want to use it as, as any Lush junkie will know, it’s pretty much an extinct product now. My very last one has been carefully wrapped in cellophane to keep it as fresh as possible. I was therefore ecstatic to see it pop up on the Lush Kitchen menu. I think the main reason behind the discontinuation of this bath bomb was because of how easily it breaks, that and a lengthy production process. Much like the Sacred Lotus bath bomb, I have never actually managed to get an unbroken Granny Takes A Dip bath bomb from shop to home. Granny Takes A Dip floats upon the surface of the water, as it slowly dissolves it creates a vast amount of colourful foam. Every time I use the Granny Takes A Dip bath bomb I am reminded about how wonderful it not only smells but looks in the water too. 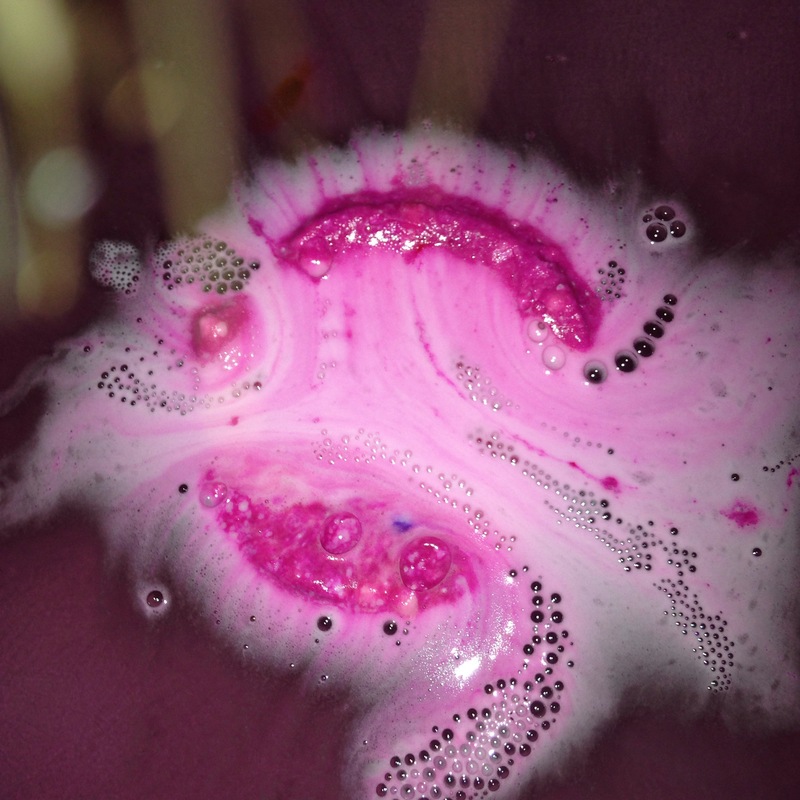 Back in the old, old, old Lush catalogue this bath bomb is described as ‘a sensory explosion in the tub. A ginger, pepper and lemon-scented bath time experience.’ The lemon, ginger and pepper oil within it blends perfectly together making the Granny Takes A Dip bath bomb a spicy, zingy and refreshing bath time treat that is very good for achy muscles. I hope that Lush will one day make a new Granny Takes A Dip scented bath bomb as the scent is beautiful and I feel sad that it has been banished.